The Group of Twenty most powerful nations were nearing an agreement late on Friday (30 November), in which a reference to a rules-based multilateral trade system was expected to be included. But ambition was lowered in the climate field to overcome the US opposition to the Paris Agreement. Ten years after the financial crisis, a storm is looming in the horizon. 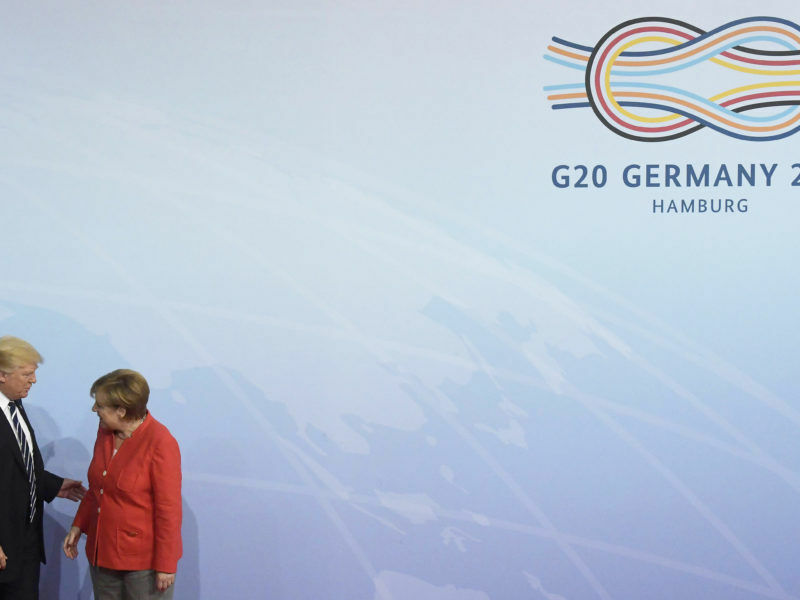 However, the cooperative spirit that forged the G20 forum in the aftermath of the financial crisis in 2008 is waning. Although issues like climate change, migration or terrorism demand a global response, and the global economic slowdown requires a cautious and coordinated approach, the US, once the great defender of multilateralism, is dismantling the international cooperation under President Trump. 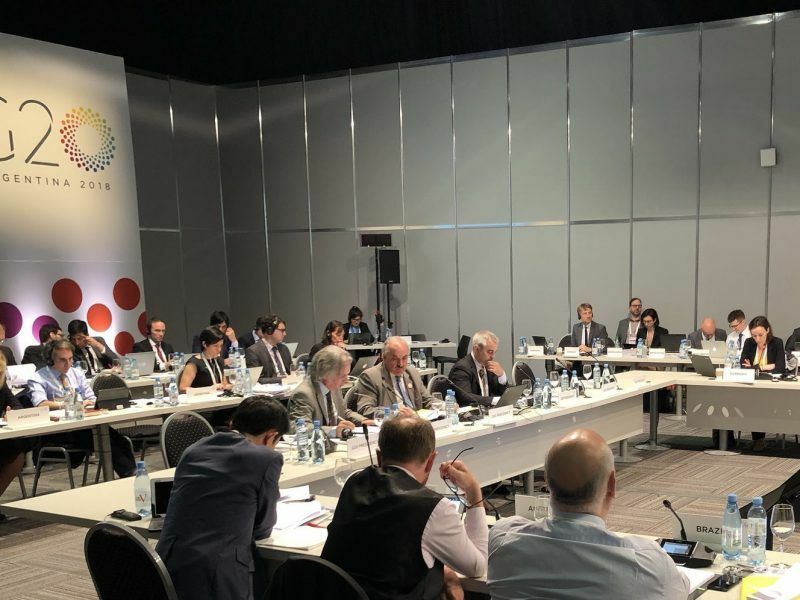 Against this backdrop, the leaders of the G20 nations launched their eleventh meeting in Buenos Aires (Argentina) to try to bring Donald Trump back to the multilateral system. Meanwhile, their chief envoys (‘sherpas’) were discussing late on Friday night the wording of the final comuniqué of the G20 summit to accommodate the US President’s concerns. But the efforts to agree on a common text forced a watering down of ambition in key points, such as the climate change. An EU official told EURACTIV.com that the draft text fell short of the commitments agreed in Hamburg last year, when President Trump decided to opt out from the final comuniqué. Angela Merkel wants all countries in the group except the US to sign up to a strong statement supporting the Paris Agreement but Saudi Arabia and others may resist. The US was also pushing not to include any reference to migration in the final text, one of EU’s top priorities ahead of this summit in Argentina, despite the efforts made by half a dozen European leaders and other delegations. Migration was promoted by Trump as a prominent issue during the last mid-term elections in the US. In other fields, the progress was more visible. The sherpas were close to reaching an agreement on the trade block. Europe played a key role in bringing together US and China to reform the World Trade Organisation, European officials said. The negotiators were also nearing a deal on a rules-based multilateral system, sufficiently vague to accommodate Trump’s wishes, whose protectionist policies and tariffs had sparked a global trade dispute over the past months. The WTO reform is seen as a necessary step to avoid a full-blown war, in particular with China, the primary target of Trump’s trade charges. 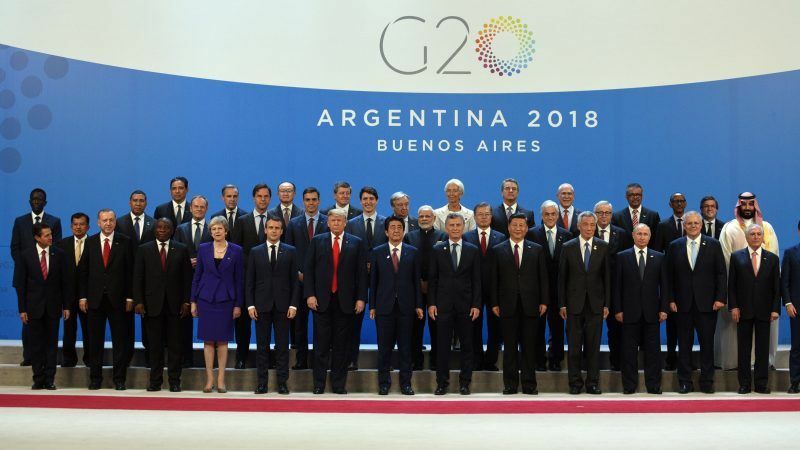 The Argentinian presidency of the G20 remained “very optimistic” on Friday about the possibility of reaching an agreement, since “in a large part of the issues there is a very high level of progress”. However, the European group was not happy with ceding too much in order to accommodate the US’s views. Otherwise, there was a “strong consensus” among EU member states that the conclusions would be unacceptable, an official said. But the survival of the multilateral framework was less dependent on the ambition of the conclusions and more on the bilateral meeting between Trump and Chinese President Xi Jinping, scheduled for this evening. Analysts agree that it would be key to see if Trump was willing to find a solution to unfair trade practices displayed by China within the rules-based system, under the umbrella of a reformed World Trade Organisation, as the Europeans implore. Or whether he decides to use all its resources to corner and contain China by slapping additional tariffs and perhaps imposing economic sanctions, as analysts and investors fear. The signals were pointing to the worst-case scenario. 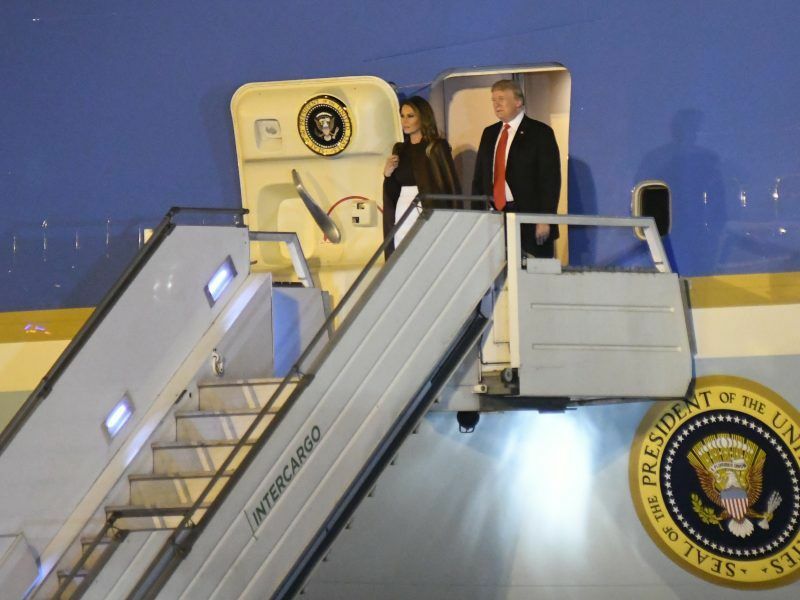 On the way to Buenos Aires, Trump bragged about the economic benefits brought by the tariffs slapped on the Chinese and said that “there is still a long way to go”. The pressure from the most powerful nations is significant because Trump’s irresponsible policies could now destabilise things further. The finance ministries of the G20 are concerned about the normalisation of monetary policy and the exit of liquidity from emerging countries. An escalation of the trade war could bring closer the end of the booming period. Against this backdrop, the defence of multilateralism came on top of most of the leaders’ interventions. Macri called for dialogue and “the same sense of urgency as in 2008” to address global problems. But he defended “international cooperation, multilateralism, and global governance” as the best way to bring prosperity to citizens. The defence of multilateralism was loud and clear from the European flank. The president of the European Council, Donald Tusk, told leaders to seize the opportunity of the summit to find solutions to the trade war, but also for conflicts such as the Russian aggression against Ukraine. Tusk stressed that “in this difficult moment for international cooperation,” the G20 leaders have the tools to address global challenges. But “the only condition is goodwill”. The US does not belong in the G20. Kick them out! And then you can bring about your sane policy. The US must be excluded from some international bodies while it remains insane enough to have Trump as president. Want an effortless approach to do Emini S&P trading? Google Emini S&P Trading Secret to learn more.